For every car enthusiast, the value and lifespan of your vehicle are very important. Most drivers never service their cars and then wonder why their engine malfunctions after the oil turn to sludge. 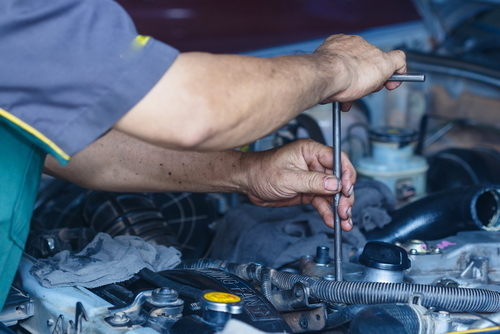 Regular car servicing can make the difference between the car running smoothly and being fuel efficient, and the risk of incurring unexpected and inexpensive repairs when it breaks down. Luckily, today's vehicles need far less maintenance thanks to upgraded suspension designs, improvements in filter technology, computer-controlled ignitions and other mechanical improvements made by the manufacturers. Check the automobile's manual and see what the manufacturer says about when to do maintenance. Also, look out for the Service or Maintenance Required Indicators or Symbols on the vehicle's dashboard. These indicators are used as a reminder that usual maintenance is required, such as an engine oil change. Anyway, you have to service your car every year to keep it in the best possible condition. - Change the engine oil - Engine oil lubricates your engine and comes in two types; Synthetic and Non-Synthetic. Non-synthetic oil needs to be changed every 5,000 km while synthetic oil lasts for 10,000 km before being changed. The results of not changing your oil are not good. Old oil reduces the mileage, and engine performance and lifespan due to the engine overheating. - Replace the oil filter - The oil filter filters out rust and dust from the engine. Left alone for long, the oil filter will get very dirty. Replacing it at every engine oil change is recommended to avoid causing havoc to your engine. - Replace the spark plugs - This electrical device fits into the engine's cylindrical head. It ignites compressed fuels, creating combustion to power the car. Every car has a different number of spark plugs with different life spans. The good quality ones can last 40,000 km whereas the normal ones usually last 10,000-20,000 km. - Auto transmission fluid (ATF) - ATF lubricates the vehicle gearbox. It has to be changed usually every 25,000-30,000 km. When it comes to service cars, gearbox flushing is recommended for every 50,000 km drive. This process involves using the auto transmission fluid to clean the gear box. The dirt in the gear box is dissolved in the ATF. The effect of flushing is quite noticeable. The car will run smoothly when accelerating and shifting gears. - Power steering fluid - Does your steering wheel get heavy while turning? If YES, then it is time to check and refill the power steering fluid. This car power steering lubricant should be changed every 30,000-50,000 km. The fluid also needs to be changed if you hear a funny noise (not screeching of tires) when turning your steering wheel. This is caused by insufficient power steering fluid. - Check brake fluids and break pads - You know you need car servicing if you hear any noise when braking. A set of brake pads can last up to 35,000 km. However, changing brake pads varies according to your driving habit. For some, they can last around 100,000 km. - Wheel alignment and tire rotation - Tires wear out faster, particularly those on the breaking wheel. Though each set of tires can last for 30,000-40,000 km, tires should be rotated every 10,000 km to avoid changing them so often. It is also important to align your wheels every 20,000 to 30,000 km. If your car is out of balance (wheel alignment is off), one side of the car tire can wear off much faster. - Replace the air filter - This car part removes any contaminants from the air entering the engine. For better combustion, the air should be clean. So you have to change the air filter whenever it is dirty. Simply remove and hit the air filter on the wall or floor. If it drops a lot of carbon then you need auto servicing. - Timing belt - The timing belt or timing chain should be regularly inspected and replaced. Chances are your car will overheat quickly and won't move if the belt is torn. Maintaining the service belt is crucial to avoid huge repair bills when the engine overheats. 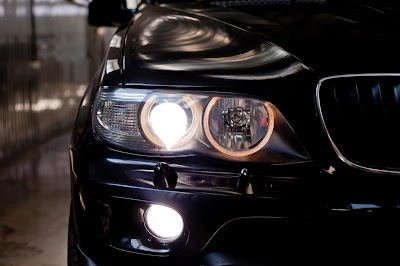 Cars are also checked for proper operation of the wipers and all lights. Car servicers check the ECU for any error codes and take corrective action. Also, ensure your tires have correct pressure whenever you can. If you want your car looking new like the day it came out of the showroom, you need to wash or detail the vehicle, and thoroughly clean the interiors. Whether you drive an old or brand new car, auto service is very important. Have the peace of mind with a routine full fixed car service. Keep in mind that your car service dealer should always record all completed services in a service book. 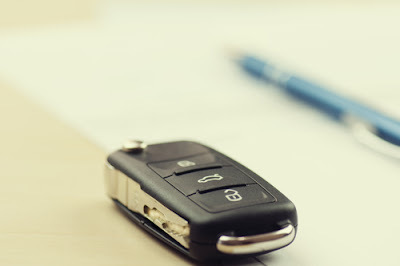 A complete vehicle service history often adds to your vehicle's resale value.